Viewed from a distance, most webcast providers look pretty similar; they all let you create a registration page, collect contact info for your registrants, and serve attendees a diet of PowerPoint and talking-head video, spiced with quizzes, surveys, and other interactions. They all offer analytics telling you who watched and for how long. Truth be told, most platforms suffice for lowest-common-denominator webcasts when the most important thing is to keep costs low. But what about a high-level internal webcast to corporate offices around the globe, or a critical presentation to external partners? What if webinars are a critical element of moving prospects to the next step of the marketing cycle? In these cases and many others, you might have to dig beneath the surface to identify the best platform for the job. Here are some questions to help you get started. All major services can deliver PowerPoint slides and talking-head video, but the video quality varies. For example, for some webinars, such as an all-hands meeting, or a webcast of a live conference, you may want to broadcast fullscreen video, a problem for services that accept only webcam video. Sonic Foundry offers multiple hardware and software options, such as this portable ML800 recorder. If you plan on producing a fullscreen broadcast at some point, explore how the system handles third-party inputs from cameras or video mixers. 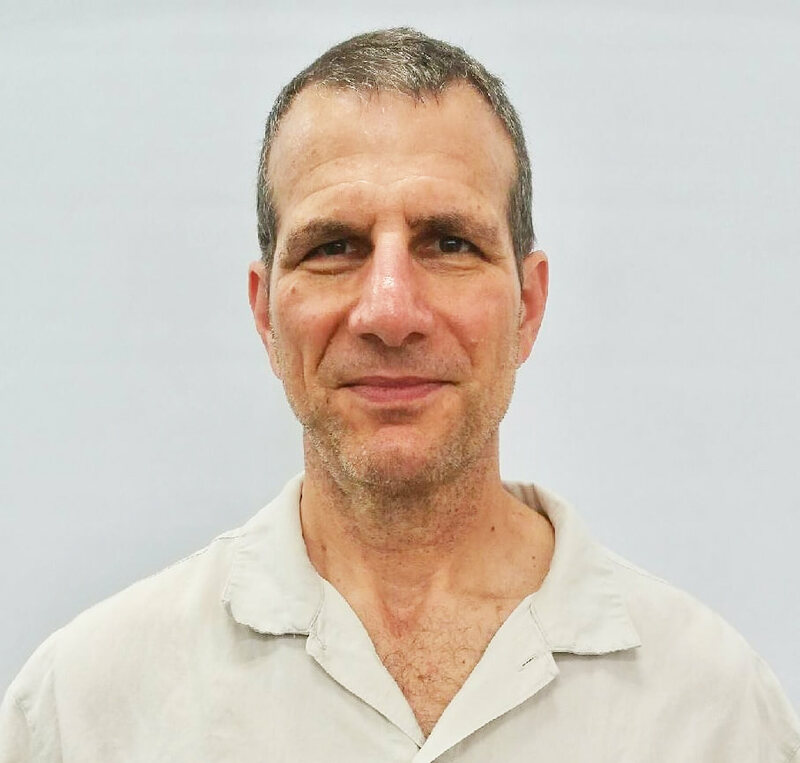 Ask if the system integrates with Telestream Wirecast or NewTek TriCaster (or similar products) to simplify production, or if the service offers a hardware or software capture solution of its own. Learn if the service delivers a single stream or adaptive video, and if you can select from various bandwidth levels. If your webcasts will include on-demand video, learn if you can upload the video beforehand; some services force you to play the video via some kind of a screen share or whiteboard function, which consumes bandwidth and can degrade quality. 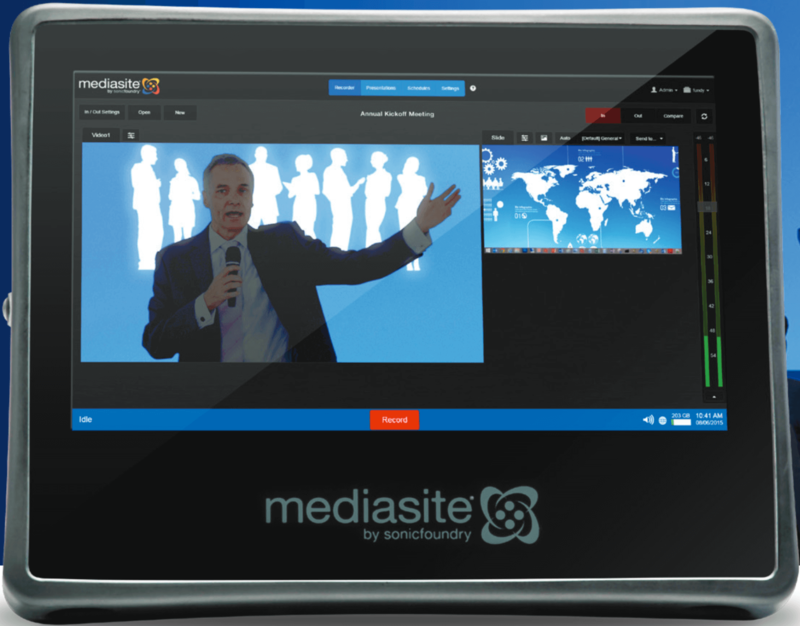 If you’ll be broadcasting to multiple audiences internationally, ask if your webcast system can support a simulated live event, where your main content is prerecorded, but Q&A and other similar services are live and localized. This capability can help you extend your message around the globe with minimal effort from high-value speakers. Some companies don’t mind showing third-party branding on their webinar players, but others want only their own branding. If you’re in the latter camp, ask if a white label registration page and player are available. Also ask if you can embed the webcast in a page on your own website, or if viewers have to watch on a page in the webcasting portal. ReadyTalk’s Simulive feature can simulate a live event with prerecorded content. Also check the configuration options for registration pages and email messages produced by the system. Response rates vary greatly depending upon the layout and graphics used in these pitches, so the more flexible the system is, the better. Mobile consumption is increasing for all forms of video, including webinars, and you should count on an increasing number of attendees watching on tablets or mobile phones. For these viewers, adaptive streaming is a must, so ask if the mobile viewer gets full access to chat, Q&A, quizzes, and polls. Also, ask if viewers can configure their mobile screens to their liking; for example, can they opt for fullscreen video display while shutting other content windows? It’s not generally a good idea to produce a webinar from a mobile device, but for some organizations it’s unavoidable. If you anticipate having some speakers transmitting from their mobile devices, make sure to inquire if the service supports this, because some don’t. If you already have video conferencing units with professional lighting and sound, find out if you can use these as the source for your webcasts. If you’ll use the telephone as an audio source for your webinars, ask if the company manages its own networks or uses a third-party service. Third-party involvement represents another point of failure, which can make problems difficult to diagnose. Also ask how simple it is to add multiple presenters in different locations, which can be an issue with some systems, even without video. 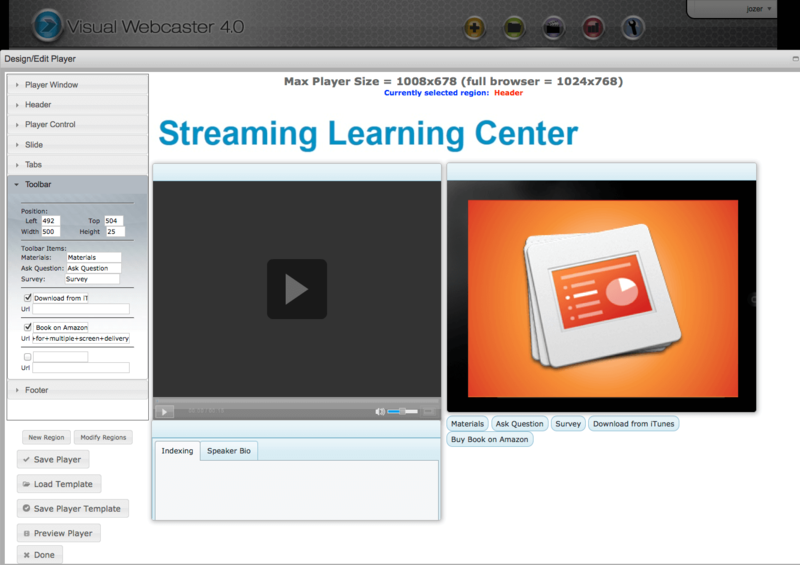 On the playback side, ask if a webinar needs to be downloaded, and if an HTML5-only player is available. Most webinar providers started off using Flash, but at some point in the next 12–18 months, Flash’s installed base should start to decline on the most current versions of browsers. Before making a significant commitment to a webinar platform, you should ask about the plan for transitioning to HTML5. 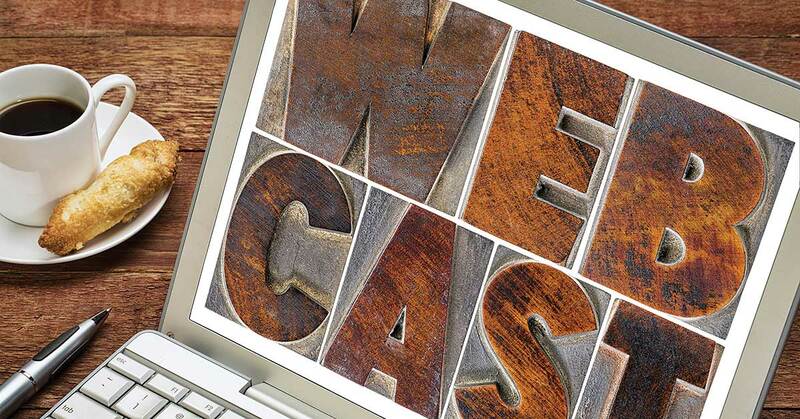 Onstream’s Visual Webcaster webinar service lets you use your own branding. If your webcasts include fullscreen video, a content delivery network can help ensure high-quality delivery. Some webinar providers distribute via their own pipes. In some cases, these systems are designed and implemented very well; in others, they are simply a bargain basement approach. This session provides the perspective from seasoned corporate users of what they want from their webcasting and online video platforms to drive better engagement from their audiences.